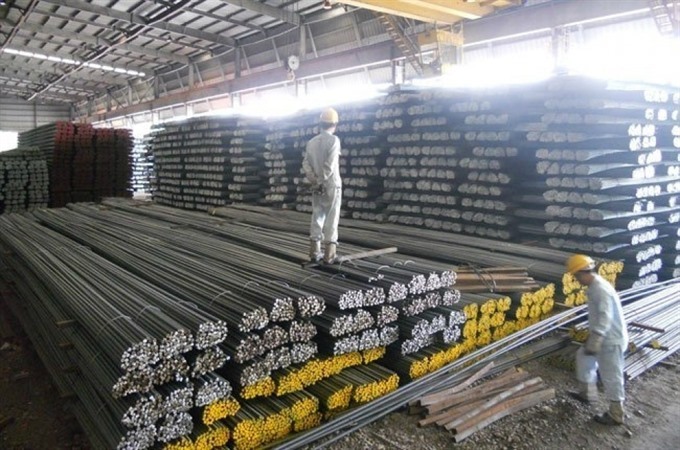 HÀ NỘI — Việt Nam’s Ministry of Industry and Trade (MoIT) has decided to maintain safeguard measures for steel billets and steel bars imported from a number of countries and territories including China, the US, Canada, Germany, France, Japan and the Republic of Korea. The rate imposed on long steel products will be 12.4 per cent from March 22, 2018 to March 21, 2019 and will be reduced to 10.9 per cent in the following year. Tariffs on steel billets will be 19.3 per cent and 17.3 per cent over the same periods. The tax rate for both steel products will decrease gradually to zero per cent by March 22, 2020 if the ministry does not renew the safeguards. Developing countries like India, Thailand and some Latin American countries, and under-developed ones in Africa that account for less than 3 per cent of Việt Nam’s total steel imports are exempt from the tariff.